Libra, a developer of blockchain tax and auditing software, has launched Crypto Office, a new product aimed at the industry’s biggest players: exchanges, market makers and hedge funds. The company will make its formal announcement November 28, 2017, at Consensus Invest in New York, while also naming cryptocurrency exchange ShapeShift and liquidity provider XBTO as early adopters of the technology. The product announcement comes the day after Libra also announced $7.8 million in Series A financing. The round was led by an undisclosed European family office. Participating investors included Liberty City Ventures; XBTO; Boost VC, an accelerator run by longtime cryptocurrency investor Adam Draper; and Lee Linden, an entrepreneur and early stage investor. 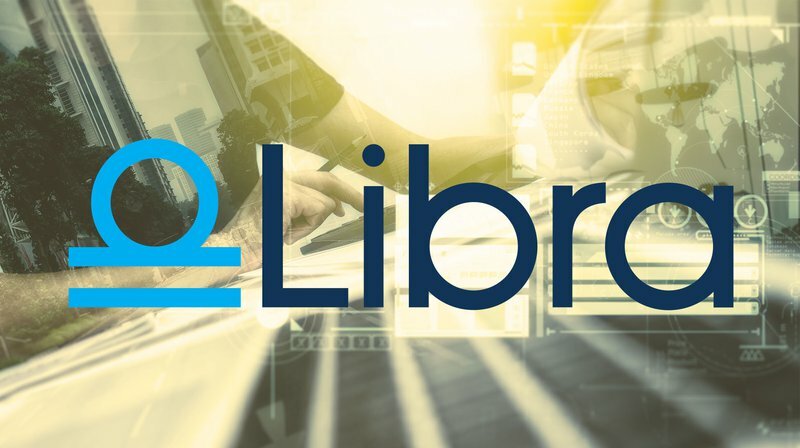 Libra, which recently relocated its offices from San Francisco to New York, plans to put those funds to use in hiring more software engineers and expanding its sales and marketing efforts. The venture previously raised $2 million, bringing its total funding to $10 million. Crypto Office is not Libra’s first product. In 2014, the startup announced LibraTax, a blockchain tax software geared to helping consumers stay on top of their bitcoin and cryptocurrency trades and keep the tax collectors happy. The U.S. Government considers cryptocurrency a property, like stocks and bonds. As a result, anyone who buys and sells cryptocurrency needs to keep accurate records of all the transactions they make, so they can account for every acquisition and disposal. Now Libra is shifting its focus to enterprise applications with its new product, Crypto Office, aimed at institutional investors. The timing is good. More than 90 hedge funds focused solely on bitcoin and cryptocurrencies entered the market this year alone. All of these funds have a fiduciary responsibility to their investors to keep accurate, up-to-date transaction records. As Libra sees it, most of these funds are relying on manual processes or auditing software retrofitted to the blockchain to track trades and run the numbers. These complexities can make it difficult for these companies to scale their businesses and keep up with the needs of their customers. It’s not just funds. Market makers — companies like XBTO that stand ready to buy and sell cryptocurrencies on a regular basis at a publicly quoted price — and exchanges also need visibility into their data, so they can understand their profit and losses and get a real-time picture of their performance. “Calculating tax on cryptocurrency transactions is just one of the capabilities of our software,” Benson noted. “We also bring information transparency to transactions such that individuals and businesses can calculate their revenue and profitability of their trades. In fact, some of our clients are buying our software to help with performance reporting not tax reporting. At its core, Crypto Office is a set of business logic that sits on top of another Libra product dubbed Enterprise Platform, which does the heavy lifting of pulling data off the blockchains. Both solutions live in the cloud and Crypto Office is available on a yearly subscription basis. Essentially, Enterprise Platform does three things. First, it allows users to connect to blockchains, exchanges and other data sources (such as wallets and enterprise systems) through a single sign-on, so they don’t have to juggle passwords. Second, it extracts, normalizes and enriches the data. This is key because different databases store their data differently. For instance, one exchange may use the ticker symbol “BTC” for bitcoin while another uses “XBT.” And because ether (ETH), the native currency of the Ethereum blockchain, can be represented by up to 18 decimal places, one exchange may roll that up to two decimal places while another rolls it up to nine, and so on. Once the data is wrangled, Crypto Office steps in to generate the information that will ultimately go into making up the various reports, like tax, inventory, profit and loss, that market makers, exchanges and hedge funds require to run their businesses. Enterprise Platform then assembles that information and sends it off to Crypto Office’s user interface, packages it into reports that get sent to investors or makes it available to other enterprise systems via application program interfaces. In summary, the goal of Libra Crypto Office and Enterprise Platform is to take data from millions of relevant blockchain transactions and make it continuously available in near real time, so investors can get an overall picture of their performance and stay compliant. If Libra’s hunch is correct, the company could see big opportunities in the cryptocurrency space, at least until other tax services like Quicken, TurboTax and SAP catch up and adapt their services to interface with blockchains.